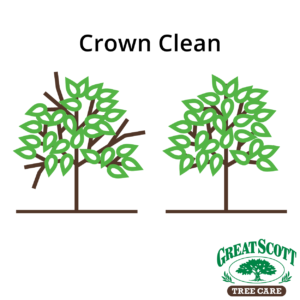 Great Scott Tree Care - Who is Trimming your Trees? “Oh, our gardener trims our trees”. This is all to often the response we hear when we ask people who trims their trees within their associations, retail centers, or business parks. 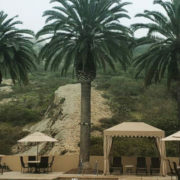 Trees are one of the most valuable assets within any landscape. If poorly cared for, trees can end up becoming an extensive burden and overwhelming cost. 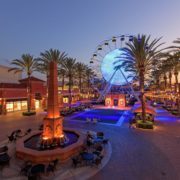 There are a specific set of standards that are set forth by the American National Standard Institute (ANSI) and the Tree Care Industry Association (TCIA). These standards outline the best practices and techniques for trimming trees to reduce risk, improve or maintain health, develop desired structure and appearance, and prevent interference with the built environment. 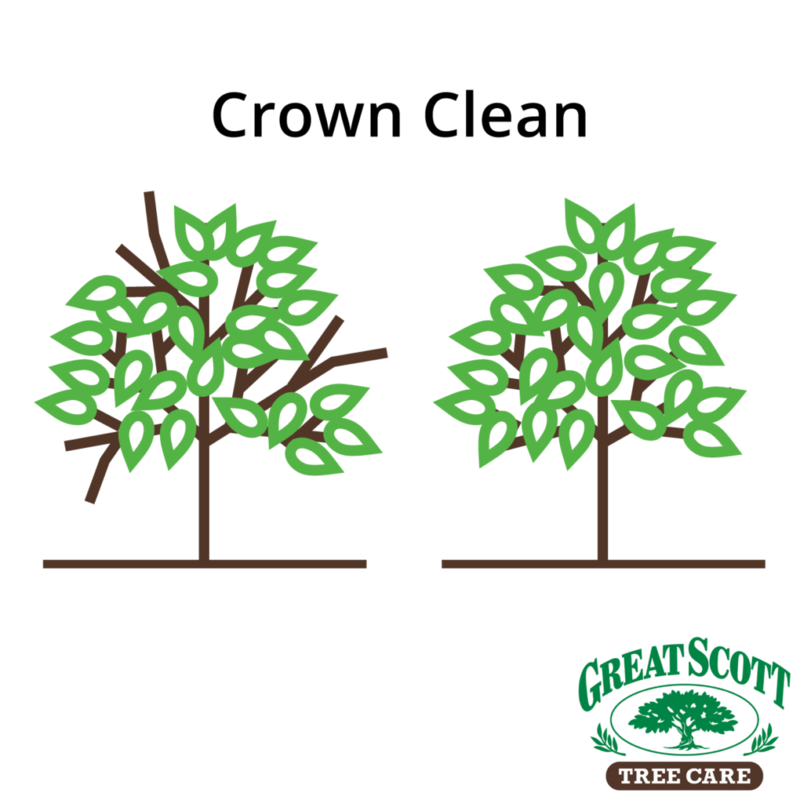 Crown Clean: this consists of selective trimming to remove non-beneficial parts: dead, diseased, and/or broken branches. 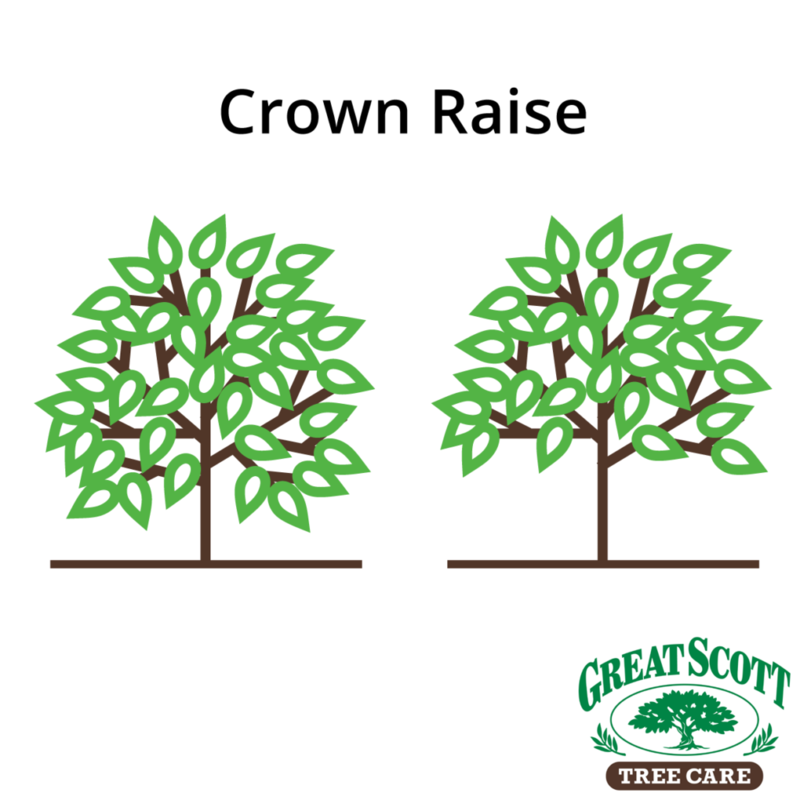 Crown Raise: Selective pruning to provide vertical clearance. Clearance distance should be pre-specified. 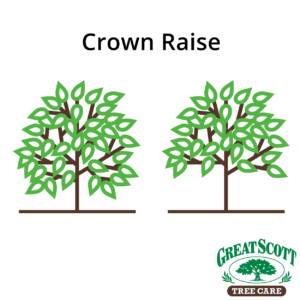 Live crown ration should not be reduced to less than 50 percent. Crown Reduce: Prune to reduce size or maintain desired shape. 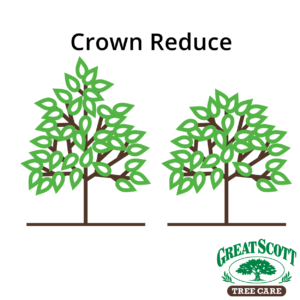 Selectively reduce or remove branches, leaders or other parts to achieve or maintain a desired form, shape or size, or to encourage regenerative growth from lower parts of the crown specify parts to be reduced or removed and/or types, sizes number and locations of cuts. 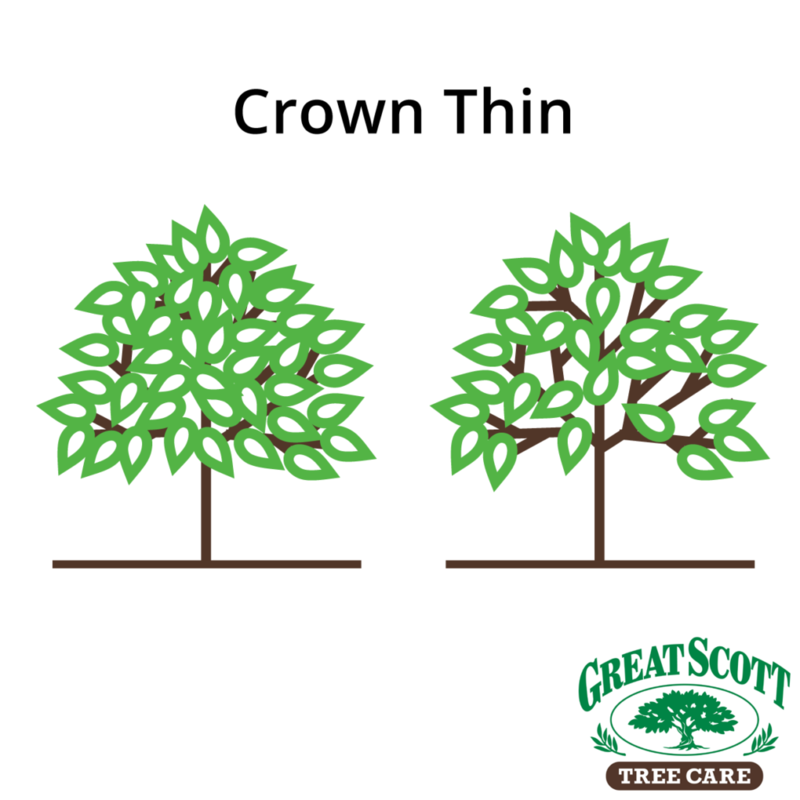 Crown Thin: selective pruning to reduce density of live branches. 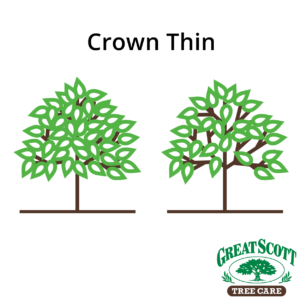 Thinning should result in an even distribution of branches on individual branches throughout the crown. 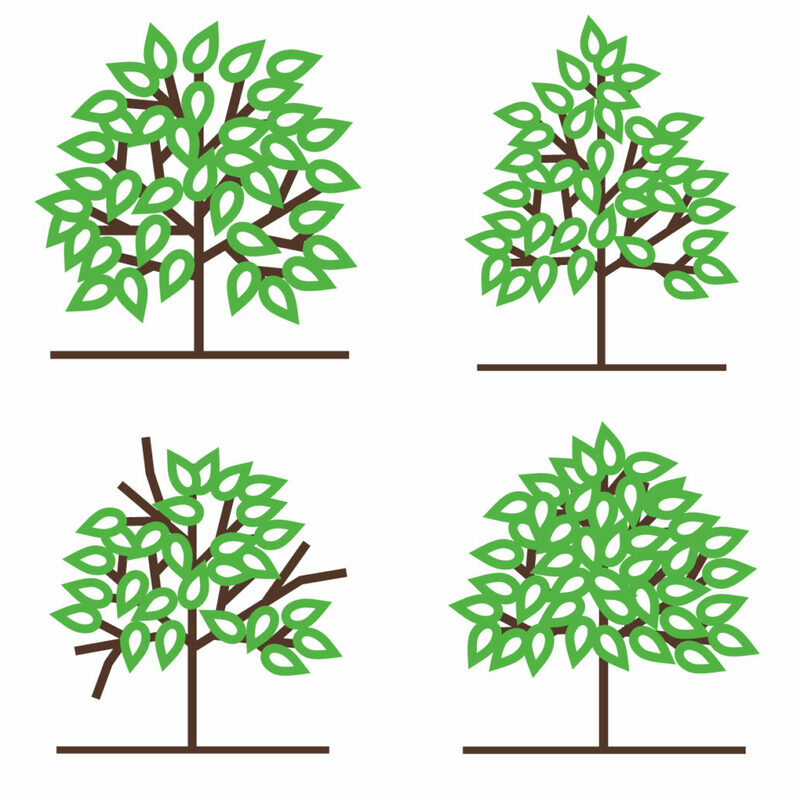 While the ANSI standards do outline other types of trimming, these are the four most common. These standards are what any person working in a tree should thoroughly understand and abide by. 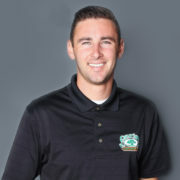 The best way to find a trusted tree care vendor is to visit the International Society of Arboriculture’s website. Here you can navigate to Find an Arborist and input your information to locate an arborist closest to you. 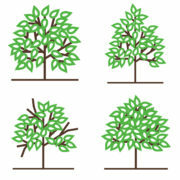 Certified Arborist and Certified Tree Workers and trained and practice these standards on a consistent basis. 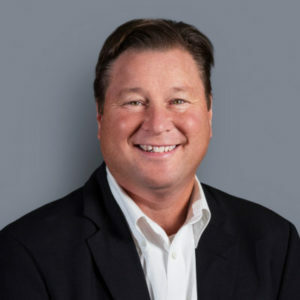 Kirk Hinshaw Joins Great Scott Tree Care as new VPO NEW LOOK, NEW NAME, SAME GREAT SCOTT!